Home » blog » Force-class stamps. 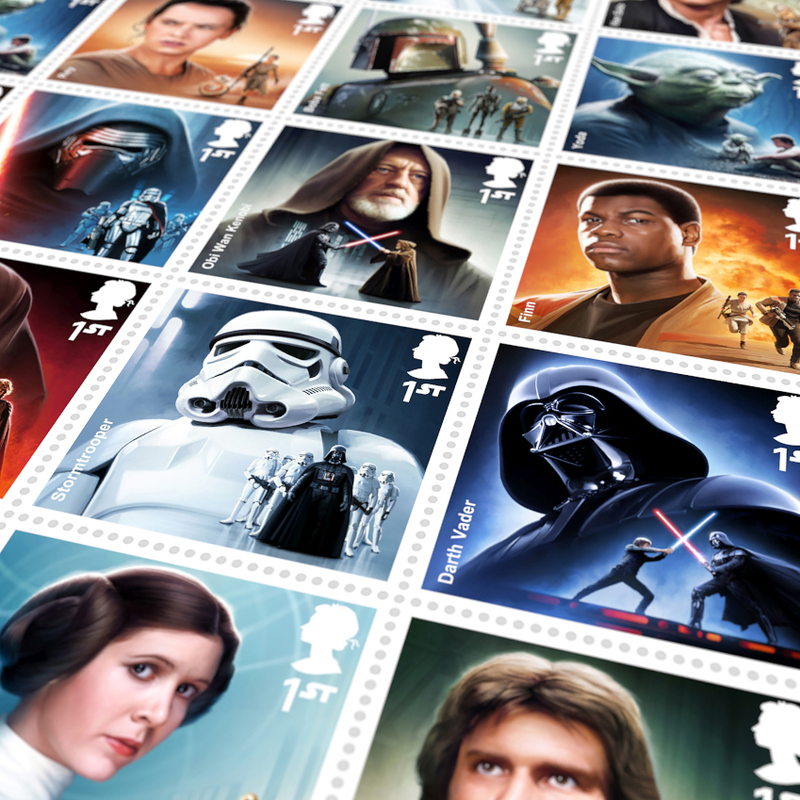 To celebrate the forthcoming release of ‘Star Wars — The Force Awakens’ in December, Royal Mail is about to release a set of 12 stamps featuring key characters past and present, plus a mini sheet portraying an imagined battle between rebel and Imperial ships. The main set was designed by our friends (and total Star War fanatics) at Interabang, who collaborated with digital artist Malcolm Tween to create a series of collages based around the classic 1970s film posters. For me, the real stroke of genius was the 1st class stamp value, which cleverly incorporates the ‘ST’ lettering from Star Wars. Pre-order your stamps here, you can. The stamps are officially released on 20 October.